John Leitch was born in 1860 to parents John and Jean Leitch, née McCrone in Hobart, Tasmania. Leitch moved to New South Wales in about 1877 and married Edith Walker on 30 August 1886 in Sydney. He settled in the suburb of Redfern in about 1895 and lived at 44 Baptist Street and then at 108 Bourke Street, Redfern from 1904 until his death. He died of pneumonia on 7 May 1927 at a private hospital in Paddington. Flags were flown at half-mast at Redfern Town Hall. Leitch was cremated the following day (9 May) at Rookwood Cemetery after a service at his Bourke Street residence. John Leitch was a builder based at 44 Baptist Street, Redfern from about 1895 until he moved to 108 Bourke Street in 1904. On 6 May 1913, Leitch was appointed to the Greater Sydney Commission, a Royal Commission established to investigate the question of the constitution of a Greater Sydney. Leitch was a Justice of the Peace. He was a member and president of the Redfern Bowling Club, winning the state championships in 1913. Leitch was also a member of the Redfern local school board, Local Government Association, Town Planning Association and the Citizens’ War Chest Fund Committee during World War 1. He contributed to the establishment of the Royal South Sydney Hospital, serving on its committee as its president. In 1909, he donated 12 gold medals to be awarded to boys from South Sydney schools competing in a rifle shooting competition. The schools were participants in the Trafalgar Day celebrations, which was held on 21 October 1909 to celebrate the laying of the hospital’s foundation stone. 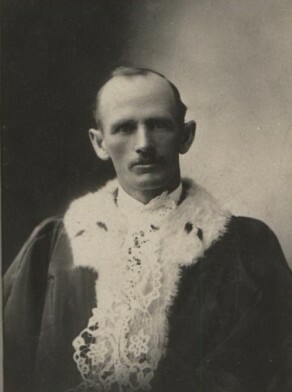 Leitch was elected an alderman of Redfern Council, Surry Hills Ward, in March 1907, filling a vacancy caused by the resignation of Patrick Stanley. He served as an alderman until 1916. He was elected Mayor of Redfern on 22 April 1908, serving until 1910 and then again on 11 February 1914, serving until 1915.